With 5 Million people in Scotland, and over 30 million of Scottish descent scattered over the globe, it is not surprising that research into Scottish family history is so popular - especially now that huge amounts of information on family origins are available online. 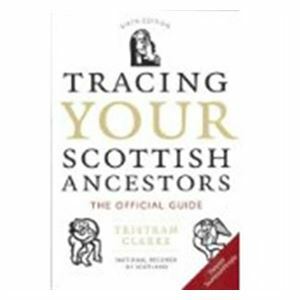 If you are one of those who wish to trace their roots in Scotland, Tracing your Scottish Ancestors: The Official Guide is the one book you must have. Using this book, you can hold the pages of the past in your hand and shine a light on who your ancestors really were. Prepared by the keepers of the records themselves, Tracing your Scottish Ancestors is written in a friendly and accessible style for the family researcher. Now, whether in person or through the ScotlandPeople site, you can find certificates of births, marriages and deaths, wills, church registers, taxation lists, censuses, military records and many more.